Malai Kofta – an Indian Main Course Cuisine and its instant recipe with video! We are providing here recipe and video for Malai Kofta – an Indian Main Course Cuisine in which you will found step by step method to make tasty mouthwatering Malai Kofta. Malai Kofta is an Indian-Punjabi dish in which deep fried potato-paneer balls and coated with malai and dipped in the tomato-onion gravy. The Malai Kofta is generally originated from the Mughlai Cuisine. 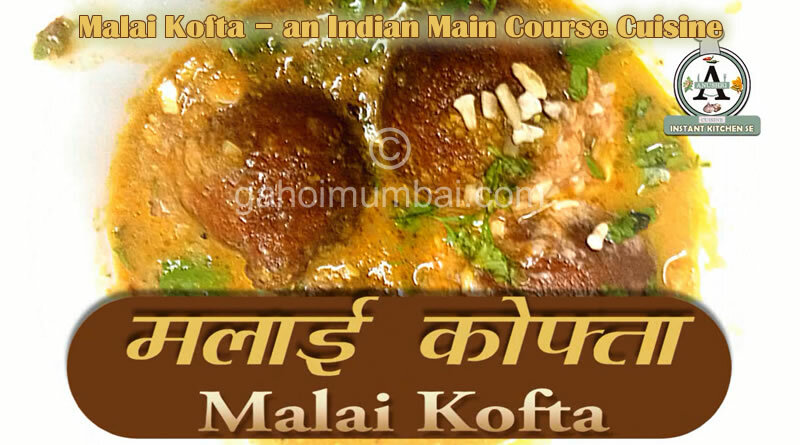 Malai Kofta is high calorie main course cuisine. 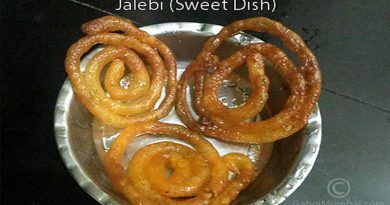 It consists calories and fats in good amount that’s why heart patients should avoid to take it in abundance. 1. Firstly, boil onion, chopped medium tomato, grated cashew nuts, cloves of garlic and ginger in a deep frying pan with water. Cover the frying pan with a plate to boil properly. ← Masala Chaas (Spiced Buttermilk) – a healthy food and its instant recipe with video! 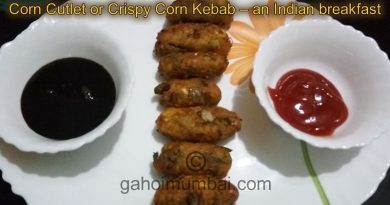 Corn Cutlet or Crispy Corn Kebab – a breakfast cuisine and its recipe! 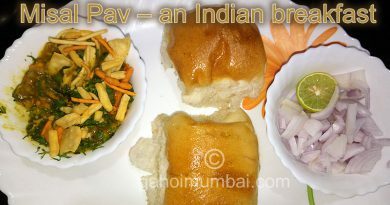 Misal Pav – an Indian breakfast and its instant recipe with video!